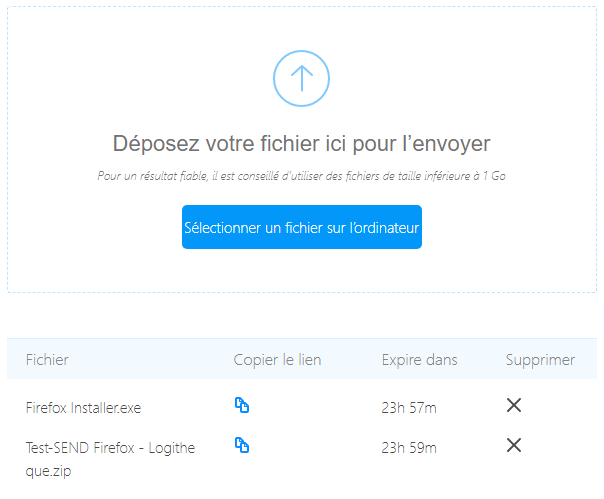 What if Firefox does WeTransfer? Mozilla, the parent company of the famous red panda browser, has decided to offer a new service for sending large files that allows Internet users to share data securely. This new web tool has been simply called "Send". The file transfer service is currently in the test phase but you can already use it. Here's how to do it. 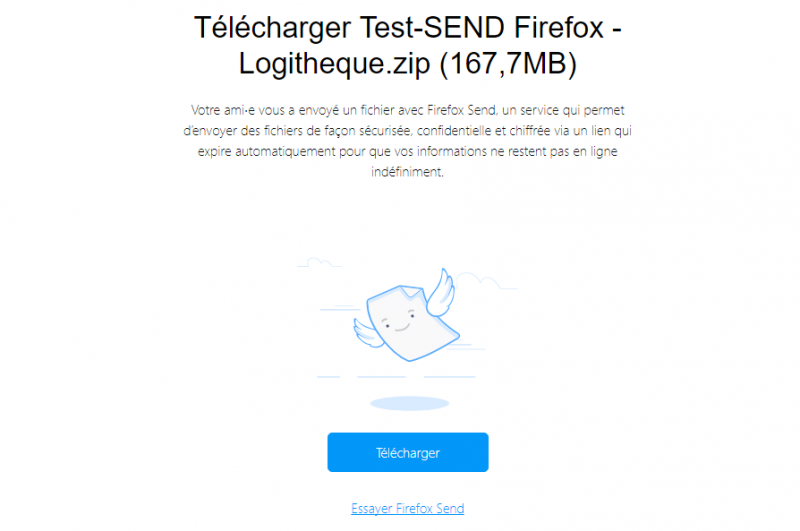 Update of March 12, 2019: After two years of gestation, the Firefox Send project is taking a new turn and will soon be available on Android through a dedicated application. 1. Go to the Send website. 2. Select the file to send from its hard disk. The maximum size allowed for sending is 1 GB. The transfer starts automatically. 4. Send the link to its recipient via an email application. Just click on the download button to retrieve the file. Please note that the links are only valid for 24 hours and automatically expire the first time you download them. Want to know more about Firefox Send? Let's look at some detailed features about Mozilla's new service. As with their iconic browser, the developers wanted to offer an open source, intuitive and free service. Send is also encrypted from start to finish. The fragment in the URL (located just after the #) contains the decryption key of the file. This key is not sent to Mozilla's servers and only people (in theory) with the link have access to it. With regard to this encryption, please be aware that the tool is far from perfect. The key could be retrieved by using the log files (specialists will appreciate it). Note that Mozilla collects data such as the size of the transferred files, their number, the duration of the upload, the method used (drag and drop or click) and many more. The Firefox developers specify that this data is collected to evaluate the service and that it does not identify or target users. Send is accessible from any browser. Yes ! Originally, the service was only accessible from a module for Firefox but vou can now transfer your files with Send from Chrome, Opera or Vivaldi. Finally Send is completely free! As you can see, Send is a good alternative to other large file sharing services, although some improvements in encryption are expected.